Due to the disadvantage of natural sand resource nowadays, our company researches vertical shaft impact crusher for producing artificial sand to replace natural sand. It features of high capacity of cubical sand, adjustable fineness, low cost, effectively improving. It is suitable for crushing high quality of basalt, diabase, granite, river gravel, limestone and other hard or medium hard rocks. 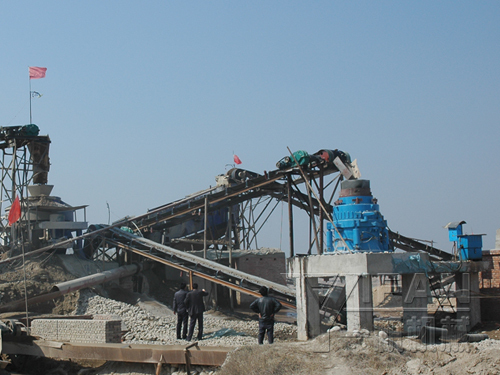 YIFAN Sand Making Plant mainly consists of vibrating feeder, jaw crusher, vertical shaft impact crusher, vibrating screen, sand washing machine, belt conveyor, electric control panel, etc, and capacity is 50-500T/H. It's widely used in mining, metallurgy, building materials, highway, railway, chemical industry. It’s used for the crushing of rocks like limestone, basalt stone, granite, cobblestone, and others which afford qualified bone materials for some industries. 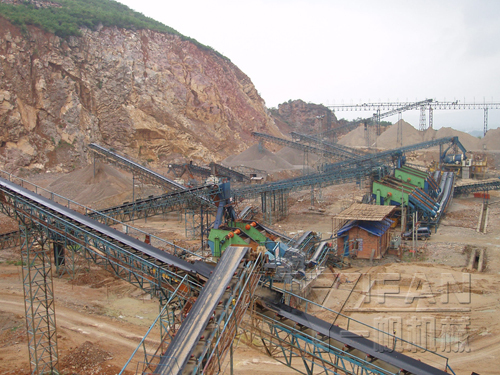 1.The raw material is transferred to Jaw Crusher for primary crushing by Vibrating Feeder. 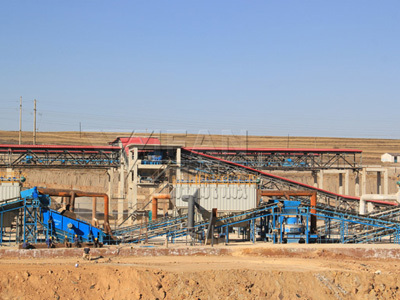 2.The coarse crushed material goes into fine jaw crusher to crush again. 3.The crushed material is screened by circular vibrating screen. 4.The screened material gets into VSI Vertical Shaft Impact Crusher for making sand, while the material must match its feeding size; the material which can not match the feeding size should be crushed by Fine Jaw Crusher again. 5.The material crushed by Sand Making Machine returns Circular Vibrating Screen for screening once more, the materials screened satifying the costumer's needs will be washed by Sand Washing Machine. 6.After this the sand is the end product; the coarse sand will be crushed by VSI Sand Making Machine once again. 7.This forms 2 closed and manifold cycles. according to our customers' requirements, final product size will be separated. 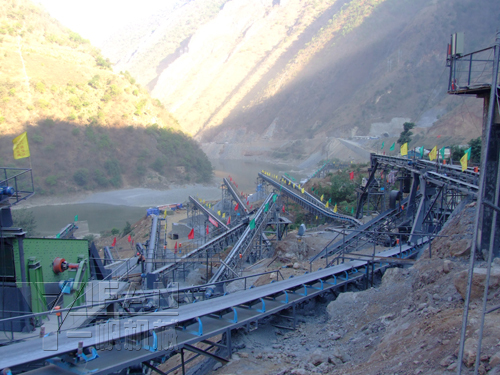 The whole production Line is highly automatic and the sizes of the finished products are even, good-shaped and can be adjustable, with high crushing ratio, high process capacity, low power consumption, It is suitable for any type of crushing station, such as for road and bridge construction.